Announcing Black Warrior Review’s Twelfth-Annual Contest for Fiction, Nonfiction, and Poetry! 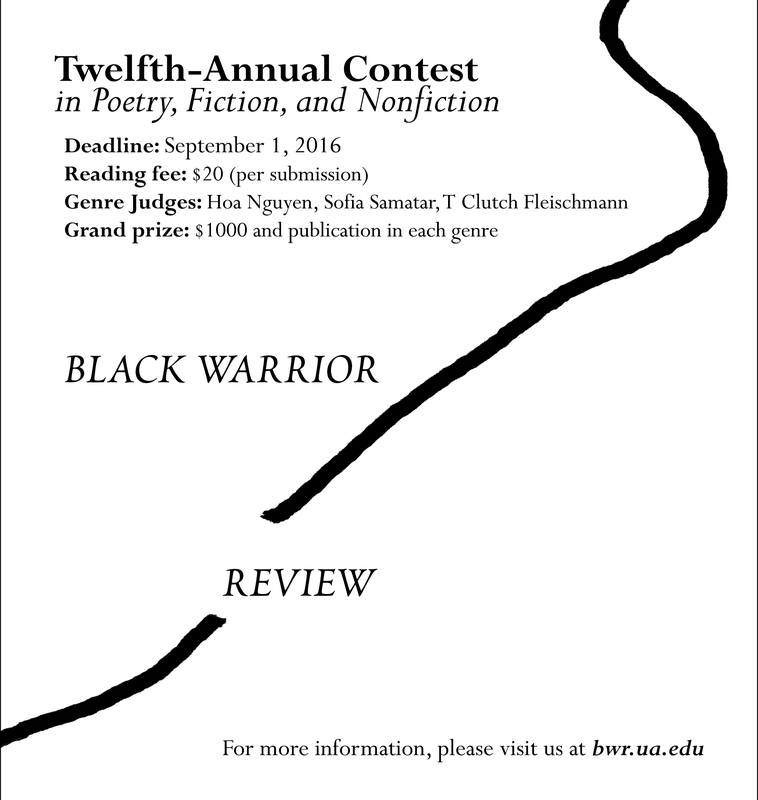 Announcing Black Warrior Review’s Twelfth-Annual Contest for Fiction, Nonfiction, and Poetry! Grand prize in each genre: $1,000 and publication. Runner-up prize in each genre: $100. Cost to enter: $20 (includes a one-year subscription). Judges: Hoa Nguyen (poetry), Sofia Samatar (fiction), and T Clutch Fleischmann (nonfiction). Deadline:September 1. bwr.ua.edu.